The Minister of Finance Jacob Jusu Saffa completed the on-going biometric verification exercise of public sector workers on government payroll on Tuesday 25th September, 2018 along with the Financial Secretary Sahr Lahai Jusu. According to Mr Saffa, going the through the verification exercise himself as Minister of Finance demonstrates how seriously the Government takes the verification process. 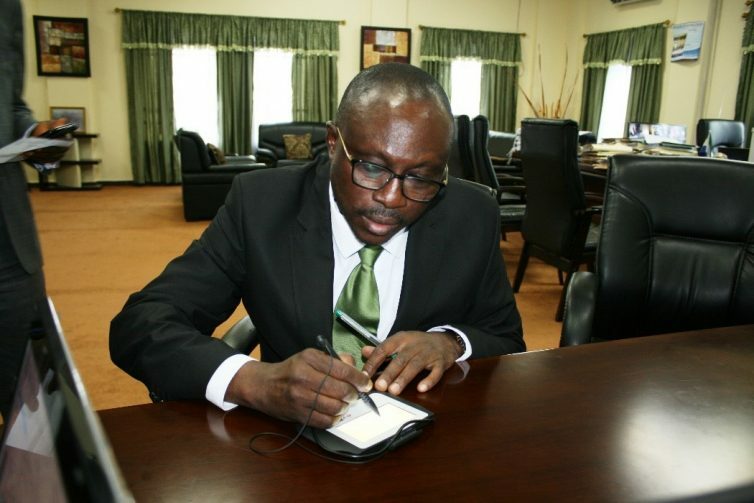 He said when he assumed office as Minister of Finance, he realized that the government payroll was faced with a lot of challenges ranging from employees with wrong dates of birth, mismatch in the date of birth held as part of the Human Resource/Payroll records and that which is embedded in the NASSIT numbers, BBAN numbers that are in the wrong format and incorrect grades attached to the various positions. These issues are affecting the cleanliness and integrity of the public sector payroll data he added. 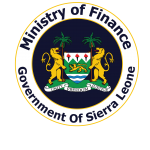 The Financial Secretary Sahr Lahai Jusu after completing the process said this verification exercise is to improve on payroll management and payroll data integrity. He added that currently there are about 75,000 employees on government payroll that is managed by the Accountant General’s Department. All these employees are expected to undergo this exercise which involves verifying their existence, age, grade, positions etc. in line with their data at the National Civil Registration Authority. “All those that will not be verified will be removed from the government payroll effective October, 2018” The Financial Secretary stressed. He further stated that no additions, adjustments or alterations will be made on the verified payroll without prior explicit approval of the Minister of Finance. It is believed that this exercise will contribute towards eliminating ghost workers and dual employment in the public sector as well as improve on the integrity and creditability of the public sector payroll data.